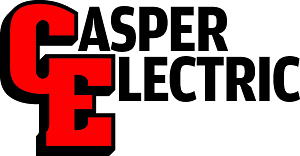 Casper Electric can meet the full range of your electrical needs. Whether your project involves constructing a multi-million dollar plant, utility upgrade, or public or private building, a large-load welding shop, a residential home, or installing computer terminals for your employees, a ceiling fan for your den or solar panels in remote locations, our team can get the job done. Please click on the tabs below to find out more about our capabilities. And don't hesitate to call us. We'd be happy to discuss your project in detail. Casper Electric has decades of experience in the industry. Our team of engineers and master, journeymen and apprentice electricians can solve just about any challenge you put in front of us. We have acted as the prime contractor on several large construction projects, so we have a broad understanding of the construction process. We have the experience and equipment to handle civil-electrical engineering projects, traffic control, concrete work, crane work, grading, pole setting, DOT projects, duct bank and trenching work. Our adaptability, in-house equipment and broad experience in construction gives us the ability to efficiently address unexpected challenges. Casper Electric has the staff and resources to take on multi-faceted or phased projects. Our team is experienced in all aspects of the construction process, including the bidding process. We handle all major bid types: turn-key, EPC, hard bid, and CMAR. If you are working with simple floor plans, we can design a plan that will meet your anticipated electrical needs and furnish drawings and cost estimates. For large scale projects, we can prepare cost estimates based on contract drawings and specifications or schematic narratives. We are experienced in construction contract administration, including submittals, change orders, value engineering proposals and subcontractor management. For our residential and small business customers, we provide free estimates for your routine maintenance, repair, installation and upgrade needs. No matter how big or small the project, we're here to help you. Casper Electric has completed many large construction projects, including major projects as the prime contractor for the Wyoming Department of Transportation. We have completed large-scale projects for Wyoming Medical Center, Natrona County School District #1, Casper College, and wired a number of local shops and offices. While we have the capacity to undertake large scale projects, we also provide electrical contracting services for private residences and small businesses. Our broad range of services and in-house capabilities make us the go to electrical contracting company for Central Wyoming and beyond. Casper Electric has a large, in-house inventory of equipment to meet the needs of our many customers. This gives us a level of capacity unmatched by other Central Wyoming electrical contractors. Our state-of-the-art equipment is well-maintained, and our operators are seasoned professionals. Light plants, air compressors, generators, jack hammers, jumping jacks, plate compactors, welders, conduit benders (electric & hydraulic), hammer drills, concrete saws, core drills.